Damien Walter, in his essay for the Guardian “Science fiction’s real-life war of the worlds”, sets out to give Larry Correia a verbal spanking (though without ever mentioning Correia by name, following the latest weasely fashion). Heaven knows Correia deserves one for asking Hugo voters to put politics ahead of literary quality. Unfortunately, Walter’s attempt to deliver an apocalyptic knockout is so inept it’s the fans he ends up insulting. Of course there is a certain irony in forming a political clique and launching an overt political campaign to de-politicise sci-fi– although registering the irony requires more self-awareness than these authors can seem to muster. And that irony is only made stronger when 2014 has proved to be a pivotal year in liberating science fiction from its own innate political biases. 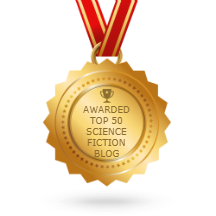 For decades, science fiction’s major awards were given, year after year, to white male authors…. Year after year? What an insult this is to those of us who have been voting Hugos to women’s stories – for decades. Walter is guilty of what C. S. Lewis and Owen Barfield called “chronological snobbery,” acting like people of the present-day have a monopoly on virtue. Women have won 16 Best Novel Hugos since 1970. They won 4 out of 10 in the Seventies and 4 out of 10 in the Nineties. Five times between 1974-2001 women won half the fiction Hugos awarded in a year. Year after year? Women won the Hugo in 5 consecutive years from 1981-1985, and in 10 consecutive years from 1988-1997. In short, in the past few decades a lot of major sf awards have been won by people who are not white dudes. If Walter wants to point out that happened less often in the past than in this decade, there’s still no reason to act like it absolutely never happened before. 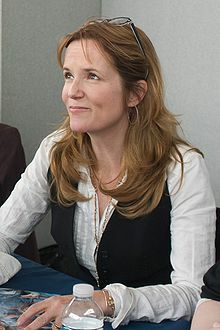 Lea Thompson in 2008. Photo by Gregg Bond. Born May 31, 1961: Lea Thompson. The actress unforgettably played Marty McFly’s mother in three Back To The Future movies. And, somewhat more forgettably, played the girlfriend of Howard The Duck (1986). The full list of winners follows the jump. Life Itself, a movie about film critic Roger Ebert, premiered at the 2014 Sundance Film Festival and will be released in theaters July 4. Work began on the documentary while Ebert was still alive. Its $1 million budget was supplemented with $150,000 raised via crowdfunding. Director Steve James (HOOP DREAMS) has conducted interviews with over two dozen people, including lifelong friends, professional colleagues, the first ever interview with Gene Siskel’s wife, and filmmakers Errol Morris, Werner Herzog, Ramin Bahrani, Gregory Nava, Ava DuVernay, and Martin Scorsese, who is one of the executive producers. 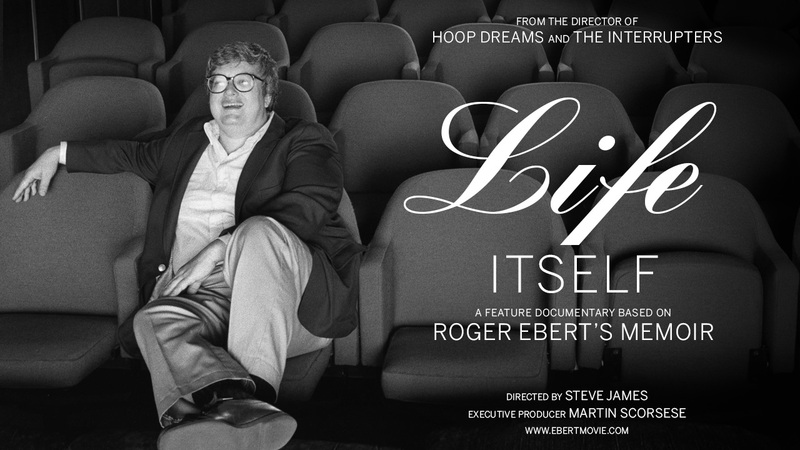 Life Itself shows Ebert’s development as a film critic, the iconic rivalry with Gene Siskel that made both household names, and his courageous persistence as a writer while suffering major health problems, including cancer surgery that rendered him incapable of speech. There are no hints in the prerelease publicity that the film mentions Ebert’s background as a science fiction fan, let alone the names of any of his old friends in fanzine fandom. Perhaps we’ll be pleasantly surprised. “Truffaut and Bradbury: Fahrenheit 451” will be the theme of a special issue of The New Ray Bradbury Review next year, marking the 50th anniversary of Francois Truffaut’s adaptation of Ray Bradbury’s famous novel. Nichols is Senior Adviser to the Center for Ray Bradbury Studies and willing to help contributors access material held by the Center, such as Bradbury’s manuscripts, the Truffaut/Richard screenplay, and various items relate to the novel and film. Paper proposals must be submitted by August 15. The 2014 Hugo Awards Voter Packet was made available today to members of Loncon 3. It is located here and is accessible to those with a Worldcon membership number and PIN. The packet will remain online until voting closes at 0000 PDT on August 1. The bundle includes full editions of some nominated works and preview versions of others. Later tonight I will have time to explore the complete bundle. In order to get a quick sense of how this year’s version will operate I opened one of the smallest directories, that for Best Fan Writer. As a result I found that Meadows, Hurley, Bourke and Nussbam are represented, but the directory contains nothing from Mark Oshiro. The Loncon 3 team will shortly release a voter packet for the Retro Hugos, commemorating the best in science fiction and fantasy available to fans in 1939. 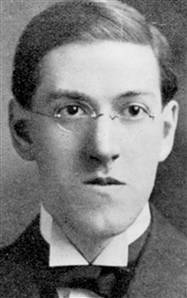 A signed H. P. Lovecraft letter is being offered on eBay for $4,400. He wrote the 1,125-word missive to fantasist Clark Ashton Smith on March 15, 1927. The current price is a 20% discount on the original asking price. As reported here the other day, people have been working to repair and digitize Debbie King’s two audio tapes of the Suncon (1977) Worldcon Hugo Ceremony. 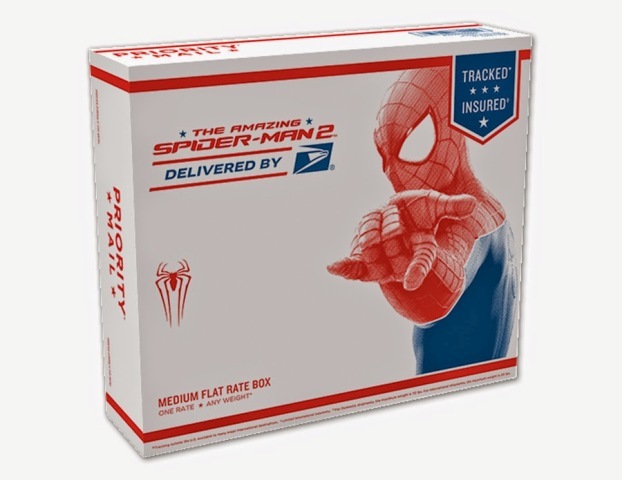 By James H. Burns: Who knew that Spider-Man now worked for the post office? 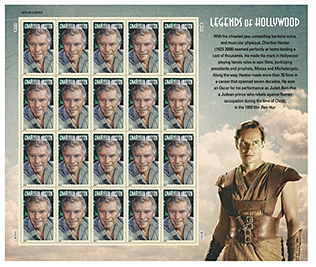 But I was even more surprised today, having somehow missed the news, to see that a Charlton Heston stamp was released in April. Having starred in Planet of the Apes (and its first sequel, as well as appearing in the remake), The Omega Man and Soylent Green — Apes and Harry Harrison’s opus are mentioned in the sheet’s bio — does this make Heston the first SF superstar, live action, to be thus honored? 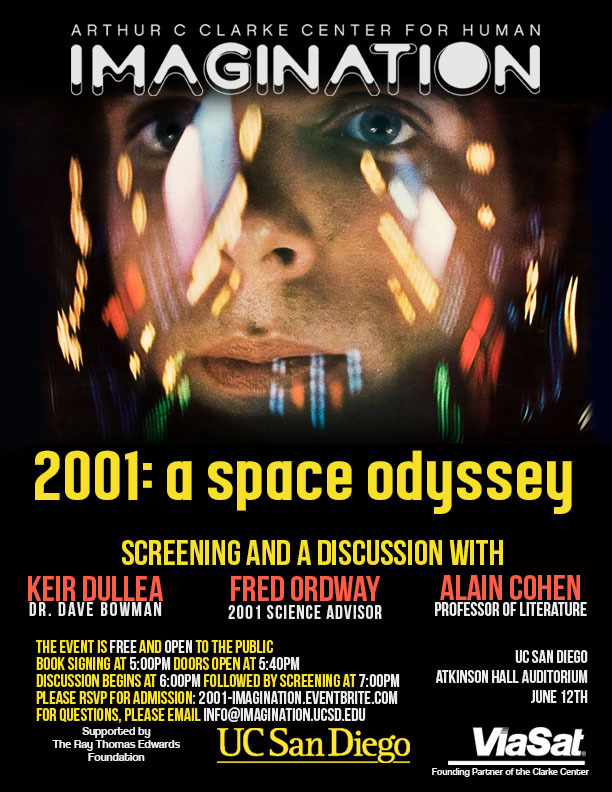 The Arthur C. Clarke Center for Human Imagination will host a screening of 2001: A Space Odyssey at UCSD on June 12. There will follow a discussion of the movie led by Prof. Alain Cohen, with actor Keir Dullea (“Dr. Dave Bowman”) and 2001’s science advisor Fred Ordway.